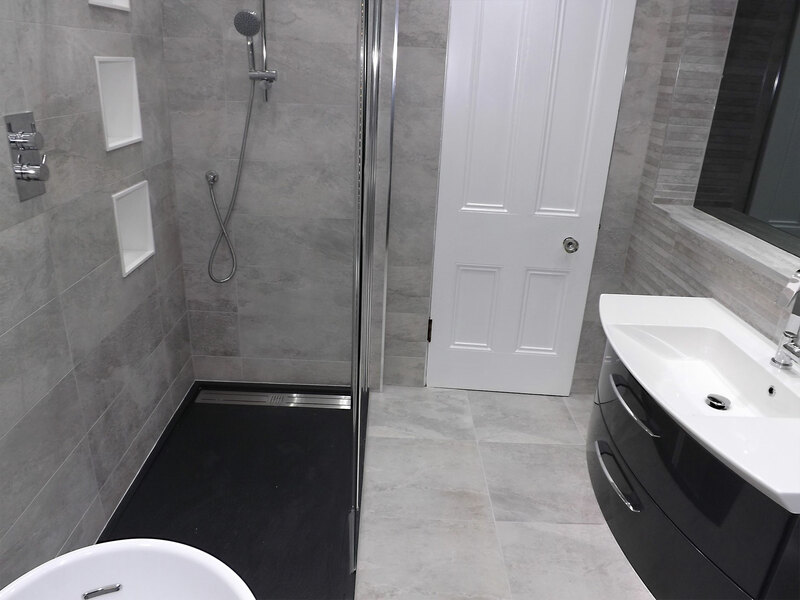 Our clients room consists of a stunning floating Pelipal vanity unit with mineral marble basin, stone walk in shower tray and luxurious free standing bath. 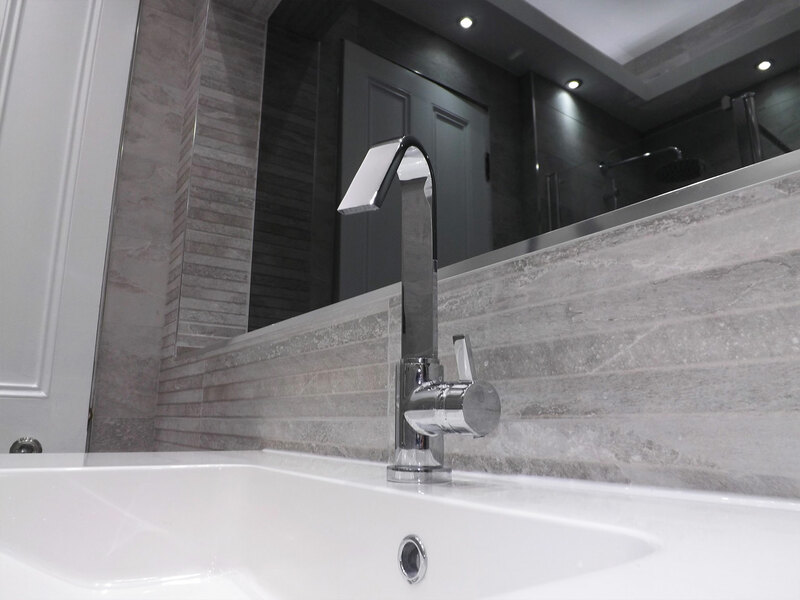 The grey mirror then added the finishing touch to this contemporary bathroom. 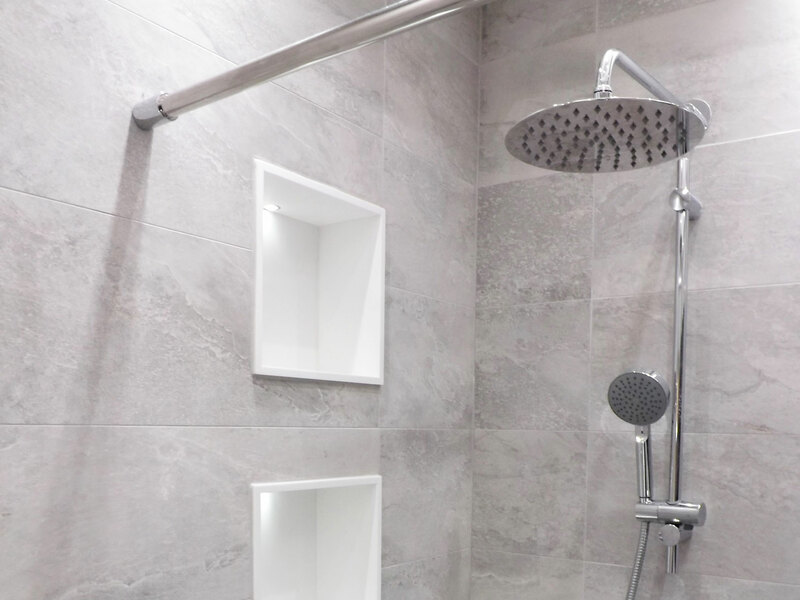 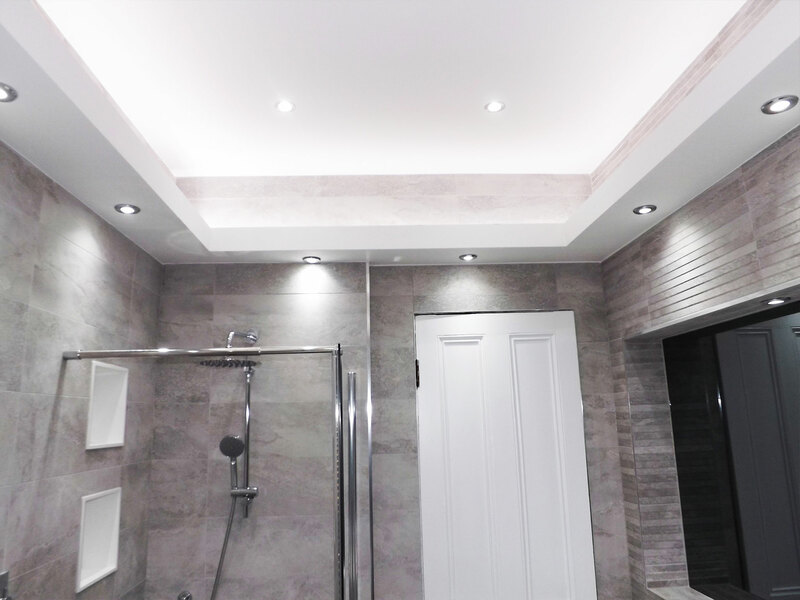 “Our clients loved this display in our showroom and our challenge was to replicate in their bathroom which I’m sure you will agree looks stunning”.